Nested in the heart of a tropical forest in the Central Pacific Region of Costa Rica you find Nativa Resort. Nativa Resort is located between National Park Carara and the Gulf of Nicoya. Nativa is a gated tropical resort community. Nativa is nested in the heart of a tropical forest and the resort is surrounded by mountains, rivers and exotic wildlife. Nativa Resort has good infrastructure, underground electric lines and drinking water wells. At Nativa Resort you have the choice of a luxury condominium or a perfect ocean view home. Las Lomas condominiums was the first project at Nativa and the Las Vistas condominiums and Las Brisas condominiums followed. All the projects have a modern architecture and the condos have a modern interior. The condos vary in size and layout. The condos have a spacious living/dining room, kitchen, air conditioning, ceiling fans and terrace or balconies with spectacular mountain or ocean views. Each condo unit has all the luxury amenities for your comfort. Each condominium project has its own swimming pool at the complex and parking. Nativa has a wide selection of home sites. Each home site offers different views which can be over the Pacific Ocean, the forest, the Tarcoles River or the mountains of Carara National Park. The home sites at Nativa can suit to your dreams and wishes. Nativa Resort has a club house that offers breathtaking ocean views and sunsets. At the club house you find a magnificent infinity pool with a white sand beach. This place is perfect to relax and enjoy the sun on one of the beach beds. Nativa Resort offers its residents a secure environment as well as an opportunity to enjoy nature in a luxurious way. 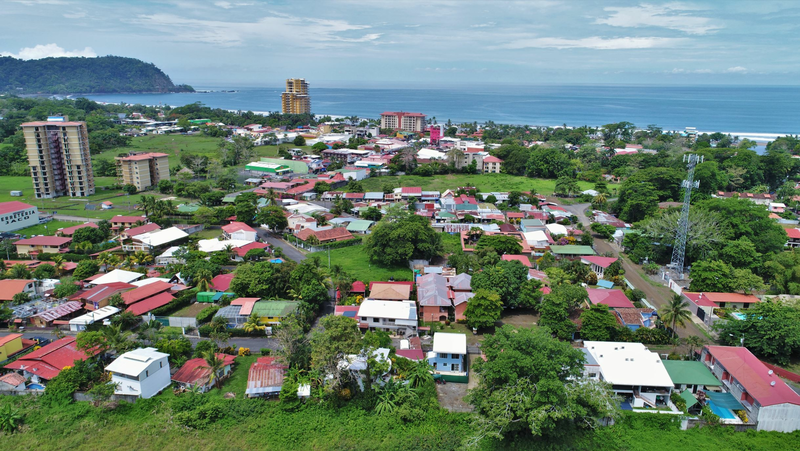 Nativa Resort is only 45 minutes away from the international airport thanks to the new highway and 20 km away from the bustling beach town of Jaco.